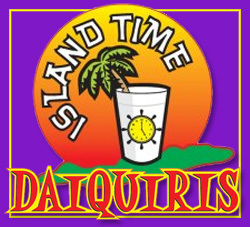 Located at The Wharf, come enjoy your choice of daiquiris or other beverage of preference. 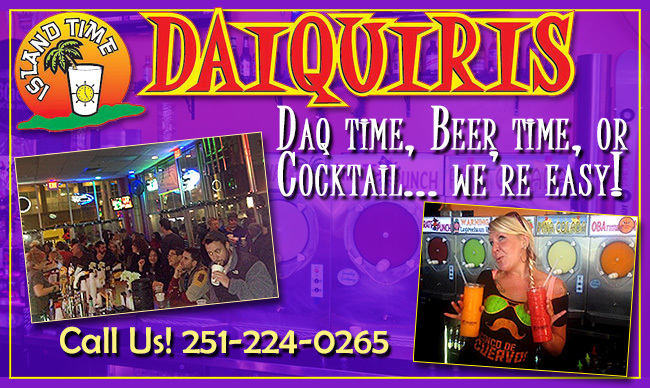 Friday and Saturday nights are Karaoke by Kelly at 9pm. We have a variety of sports playing on our screens and Thursday nights are Brandon Coleman of The Red Clay Strays! An unforgettable combination of Rum and Fruit Punch. Makes you say ARRRRGH! A mixture of Everclear, Whipped Cream Vodka and Orange Goodness. Our signature "Dream-Cicle"; with a kick. An amazing combination of Coffee Liquor, Chocolate Liquor, Spiced and Coconut Rum. Our adult milkshake.